Brighter Child Alphabet helps preschoolers learn and reinforce their alphabet skills – by solving puzzles, playing games, and completing fun brainteasers. 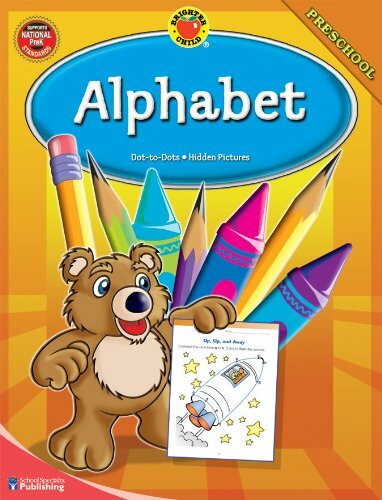 Offering 80 pages of full-color activities, easy-to-follow directions, and complete answer key, children will have fun learning the alphabet! The popular Brighter Child Workbook series offers a full complement of instruction, activities, and information in 51 subject-specific workbooks. Encompassing preschool to grade 6, this series covers key subjects including basic skills, English & grammar, math, phonics, reading, science, and Spanish. This series is helping prepare children by giving them a solid foundation in key skills necessary for success in the classroom!